Simple can be extraordinary with the right ingredients. 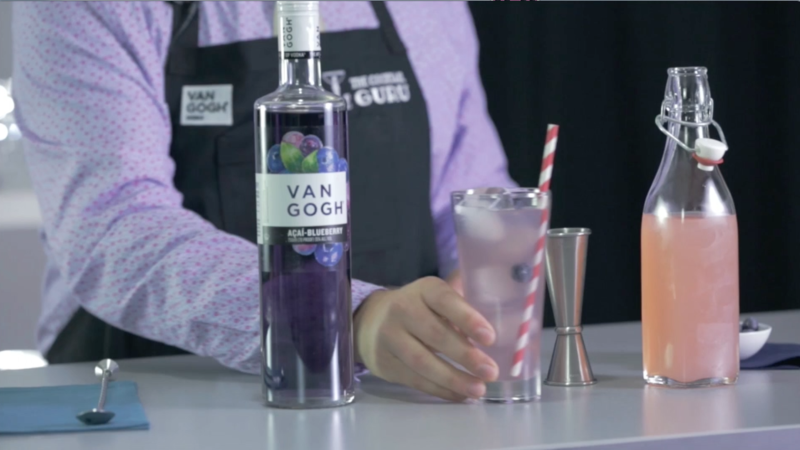 The Cocktail Guru, Jonathan Pogash, demonstrates how to make an effortless, yet stunning, spring cocktail by mixing Van Gogh Açaí -Blueberry with pink lemonade. The vodka’s exotic blend of açaí berry and blueberry, with just a hint of raspberry and almond, adds a tropical twist to traditional pink lemonade. Top it off with fresh blueberries and you’ve got a refreshing new favorite.